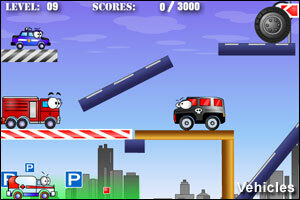 Vehicles: Level Pack is a Physics based Puzzle game from Notdoppler created by Dmitriy Fyudorov and Dmitriy Zaletov. Vehicles 2 – Municipality Unleashed is the second installment in the Vehicles series created by Dmitriy Fyudorov and Dmitriy Zaletov. Vehicles is a Physics-based puzzle game from Dmitriy Fyudorov and Dmitriy Zaletov. Your main goal is to remove all the dark vehicles from the game window. All the other vehicles must stay. Click a vehicle to start it and click it again to stop it. 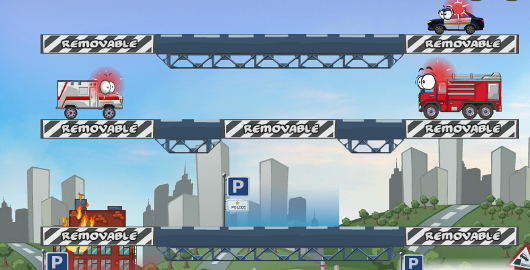 Try to park your vehicles in the green zone to earn an extra 1000 points per vehicle. Vehicles is a very original game that features 35 levels of various difficulty. This one really deserves a sequel! 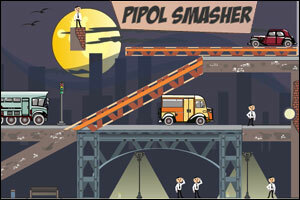 Pipol Smasher is the latest physics-based puzzle game from Dimitry Fyudorov, the developer of WereBox and Vehicles. 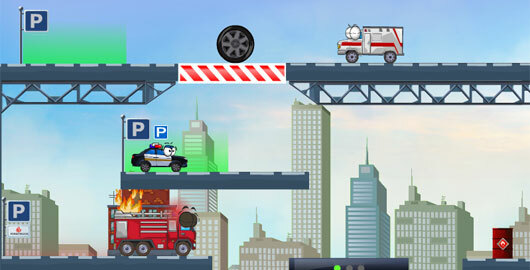 “Figure out a way to crush all people by controlling the cars and using any obstacles that can help achieve your goal.